Harvard University Press, 9780674013964, 352pp. Soon after overthrowing the Tokugawa government in 1868, the new Meiji leaders devised ambitious plans to build a modern nation-state. Among the earliest and most radical of the Meiji reforms was a plan for a centralized, compulsory educational system modeled after those in Europe and America. Meiji leaders hoped that schools would curb mounting social disorder and mobilize the Japanese people against the threat of Western imperialism. The sweeping tone of this revolutionary plan obscured the fact that the Japanese were already quite literate and had clear ideas about what a school should be. In the century preceding the Meiji restoration, commoners throughout Japan had established 50,000 schools with almost no guidance or support from the government. Consequently, the Ministry of Education's new code of 1872 met with resistance, as local officials, teachers, and citizens sought compromises and pursued alternative educational visions. Their efforts ultimately led to the growth and consolidation of a new educational system, one with the imprint of local demands and expectations. 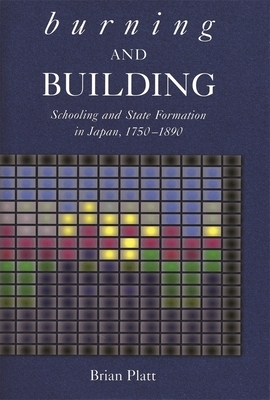 This book traces the unfolding of this process in Nagano prefecture and explores how local people negotiated the formation of the new order in their own communities.